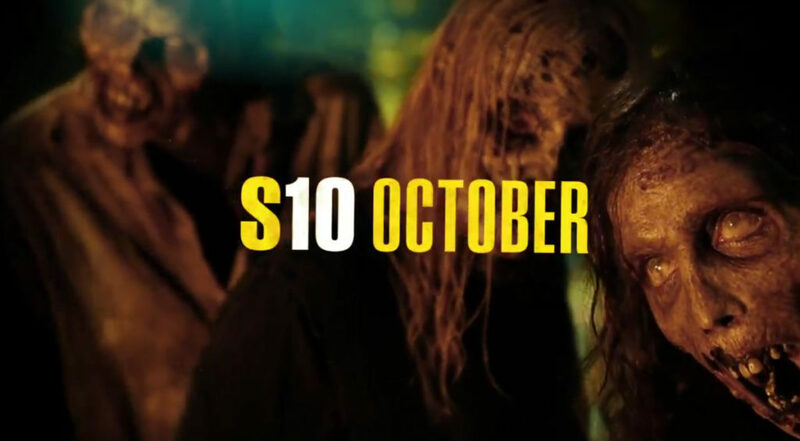 The Walking Dead has officially entered double-digit territory. Was there ever any doubt? Some shows have to sweat it out every year waiting for the renewal notice to delay their execution, but not this one. So the only question is….how did AMC choose to break the news this time? This means if TWD is ever abruptly cancelled (like after Season 55), there could be traces of an abandoned season floating around out there. But does Kang care to share with us what they’re thinking about for that distant season? She told the reporters one thing…we may see Maggie again. The Walking Dead begins airing new episodes next Sunday, and the tenth season is dated for October.